Old age can make your life very dull. Sometimes, it feels like there is no spark left in you. But, that is not true. Age is just a number. It cannot define your personality or energy. After a certain age, people are considered as “veteran.” But, they are the ones who have a treasure full of experience. The people who served in the military all their life find it difficult to come back in circulation and do a regular job. None the less, there are many job opportunities for veterans in information technology and other fields where companies want to hire them. In this post, I am going to list out some of the job opportunities, which are available for military veterans in different fields. This is one of the hot jobs for veterans right now. The veterans have a lot of responsibility to carry out in this job and hence should have good leadership qualities and a bachelor’s degree in the field mentioned by the companies. As the name goes, this job comes under information technology which is growing rapidly and has already made changes in the world. The work depends on company to company. In general, the work would be to identify the issues which may occur and find the solution for it. As a computer information system manager, one should have a good knowledge of computers and should know about coding too. As the name goes, this is a supervising job. It may be a mechanic, installer or a repairer job. Experience is the main criteria to get this job. High school studies or a diploma is necessary to get into a company and of course, having experience will be an extra perk. 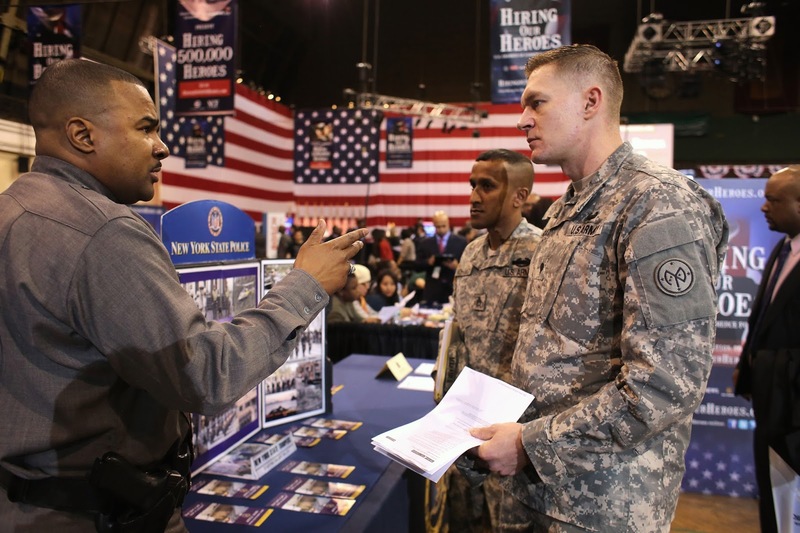 This is another job in which companies will pick military veterans. Being a cybersecurity analyst is a very responsible job. The employee has to protect the system of the company from being misused in any way. This is like protecting the people of the country from attack. Hence, a military veteran will be the best choice for this job due to their loyalty and commitment towards their work. A bachelor’s degree in computer related field will suffice. But having a military experience will earn the veteran an extra point. A human resource manager is a person who acts as an interface between the management and employees. They are the ones who are responsible for recruiting the bright minds in the company. It is a job which requires experience and knowledge to find the true gems that will help in building the company. For this job, a bachelor’s degree will do but if it’s a huge company then master’s degree is required. As it is clear, being a military veteran is not a roadblock. In fact, they are getting many opportunities to start fresh as a civilian. Military veteran jobs in information technology are the easiest to get through as the knowledge of computers and technology is needed. And this is available in their day to day lives.